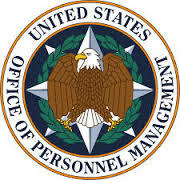 On June 9, 2015, the U.S. Office of Personnel Management (OPM) publicly announced the results of a computer forensic investigation – initiated many months earlier – indicating that background investigation records on as many as 22 million individuals had been compromised in a long-term intrusion into the agency’s computer systems. As noted in the OPM press release, it discovered the security incident resulting in the breach in April, and after further analysis determined that unauthorized access to OPM personnel and background investigation records had begun nearly a year earlier, in May 2014. It’s not entirely clear why OPM waited almost two months to publicly disclose the breach, but affected individuals have had to wait much longer to receive notification from OPM confirming their information was among the compromised records. OPM first had to hire a contractor to help it conduct the notification campaign and provide support to affected individuals, so it did not start sending notifications until the beginning of October. Given the large number of recipients, it should come as no surprise that the notification process has been drawn out; my letter from OPM arrived on November 23, 137 days after the public announcement and approximately 200 days after OPM says it discovered the incident. The significant time lag associated with notification is troubling on several fronts, at least for those affected by the breach, but the simple fact is that there are no regulations or guidelines currently in force that compel OPM or any other federal agency to act faster on its notifications. All U.S. federal agencies are required, under rules issued by the Office of Management and Budget in May 2007 in Memorandum M-07-16, to notify the U.S. Computer Emergency Readiness Team (US-CERT) of “unauthorized access or any incident involving personally identifiable information” within one hour of discovery. The OMB rules do not specify an explicit notification timeline, but do say that notification should be provided “without unreasonable delay” following the discovery of a breach. After the recent series of large-scale breaches of personal information by private sector entities, the Obama Administration and both houses of Congress have proposed legislation that would, among other things, impose strict notification timelines for data breachs. As part of a broader set of initiatives intended to protect consumers, the Administration in January suggested a Personal Data Notification and Protection Act that, like the Senate’s version (S. 177) of the Data Security and Breach Notification Act, would require breach notification within 30 days. The House version (H.R. 1770), introduced three months later than the Senate’s bill, shortens the notification deadline to 25 days. None of these pieces of legislation have been enacted but even if they had they would presumably not bind OPM or other federal agencies, because they are intended to introduce statutory provisions enforced by the Federal Trade Commission that apply to entities that fall under FTC authority. It’s difficult to understand why government agencies should be continue to make their own definitions of what constitutes an “unreasonable delay” if commercial and non-profit organizations are to be expected to notify breach victims within 30 days. What’s the harm in inaccurate personal information? On November 2, the U.S. Supreme Court heard oral arguments in Spokeo, Inc. v. Robins, a case that stems from complaints by a consumer (Robins) that Spokeo, an online “people search engine” that aggregates information about individuals from public sources, published inaccurate information about him. The argument before the Court focused on a legal question about whether the standing exists for someone who has not suffered demonstrable “real world” harm to bring a lawsuit against an entity that has violated the law. In this particular case, Robins claims that Spokeo violated the Fair Credit Reporting Act (FCRA) when it published multiple pieces of erroneous information about him. The statutory regulations under the FCRA (15 U.S.C. §1681) require consumer reporting agencies to “follow reasonable procedures to assure maximum possible accuracy of the information concerning the individual” (§607(b)) on which they report. The arguments before the Court neither address nor dispute whether Spokeo is a credit reporting agency (it is, at least for purposes of establishing FCRA jurisdiction over the company) or whether it did, in fact, publish inaccurate information about Robins (it did). Instead, the case centers on whether the lawsuit is allowable at all, since Robins can only point to evidence that Spokeo violated FCRA rules, but cannot show that he suffered any injury or damage because of the mistaken information. Generally speaking, individuals or entities with rights of action related to, for instance, claims of negligence, must prove actual harm in order to bring suit. This is why victims of data breaches are typically unable to sue the companies that lost their data for damages related to things like a increased future likelihood that they will suffer identity theft. Those who actually experience identity theft can sue for damages, but not until they actually incur harm. The FCRA does include statutory penalties for credit reporting agencies that knowingly violate the provisions in the law, although the limit of liability is capped at $2,500 per violation. The problem for Robins is that the ability to seek these civil penalties rests with the Federal Trade Commission, not with individuals like him who believe (or can provide evidence) of statutory violations. Robins instead has to establish that he even has a right of action, which is the core issue the Supreme Court is considering. The Court has taken up this issue before, including in First American Financial v. Edwards, which the Court dismissed without explanation and without issuing a ruling on the matter of standing, instead simply stating that it should not have taken the case in the first place. The case has drawn attention (and a large volume of amicus briefs on both sides) far beyond the realm of credit reporting, in large part because although there is ample precedent in tort law that plaintiffs need to demonstrate actual standing in order to sue for damages, showing harm has historically not be required for legal standing under the Constitution, particularly when Congress explicitly includes legal remedies for statutory violations. During oral argument, some justices seemed willing to accept that having inaccurate information published about a person could constitute harm, which would allow Robins to proceed with the lawsuit, but sidesteps the key question of standing. What’s unfortunate about this case is that it in no way addresses very real questions about responsibility for the establishment and maintenance of data integrity. Under FCRA regulations, consumers have the right to dispute information reported by FCRA-covered companies if they believe the information to be inaccurate. In most cases – even with the much larger and better-known major credit reporting agencies like Equifax, Experian, and TransUnion – the reporting entities do not create the information they hold about consumers, but they receive and aggregate information from numerous third party sources. This, perhaps obviously, presents a challenge when the information collected and reported by one of these companies is wrong. The law requires the credit reporting agencies to employ “reasonable procedures” to ensure not only the accuracy and relevance of consumer information, but also its protection from unauthorized disclosure (confidentiality) and its proper use. As originally enacted, consumers who wanted to dispute something in their credit reports had to take the issue up with the reporting agency itself; Congress amended the regulations in 2003 with the Fair and Accurate Credit Transactions Act (FACTA) that enabled consumers to dispute information directly with creditors or other entities that are the source of the information the credit reporting agencies receive and report. The FTC subsequently issued guidelines to entities that furnish information to credit reporting agencies that place a substantial burden on them to report only accurate information. These rules would seem to put the onus on furnishers of information, rather than the credit reporting agencies, since under current regulations the responsibility for providing accurate information rests with the furnishers. It makes sense that a company like Spokeo, if the information it aggregates comes from such entities subject to the FTC regulations, would presume that the information it receives is accurate. It is much less clear in the regulations to what lengths a credit reporting agency must go to demonstrate that it has followed “reasonable procedures” to ensure information accuracy. Now that the Senate has passed its own version of the Cybersecurity Information Sharing Act (CISA), work on the legislation shifts to reconciling the Senate bill (S. 754) with similar measures passed by the House of Representatives earlier this year. Privacy advocates and industry groups oppose the new legislation for many of the same reasons that led to the demise of the Cyber Intelligence Sharing and Protection Act (CISPA) in each of the two previous Congresses, but in the wake of a seemingly unending string of major data breaches and cyber intrusions, it appears quite likely that the current Congress will get a bill to the the president for signature. It’s worth noting that while the House did introduce another version of CISPA in February, the House legislation that actually passed – the Protecting Cyber Networks Act (PCNA) (H.R. 1560) – was introduced separately in March and includes much stronger privacy protection language than the Senate’s CISA bill. The best prospects for closing the many privacy loopholes in the Senate version now rest with the House members in the conference committee that, according to CISA co-sponsor Senator Richard Burr, likely will not produce a final bill until sometime in 2016. Critics of the Senate CISA bill note that it provides few provisions to ensure that personal information of private citizens is not disclosed improperly by companies that voluntarily share cyberthreat information with the federal government. What’s more, CISA would effectively insulate companies that failed to remove personally identifiable information from legal action by preempting the other federal privacy legislation. The House’s PCNA, in contrast, directs the Department of Justice to develop and periodically review privacy and civil liberty guidelines related to cyberthreat indicators and associated information shared with the government, and even affords individuals a private right of action if those guidelines are violated – a provision similar to causes of action in the Privacy Act and several other major privacy regulations now in effect. The CISA bill’s supporters in the Senate have consistently argued that privacy concerns are overblown, noting that cyberthreat information sharing with the government by private sector entities is voluntary, and that the legislation includes provisions requiring the removal of personal information that is not directly relevant to cyberthreat indicaors. A separate line of criticism has been directed at CISA and other proposed legislation focused on information sharing between private sector entities and government agencies because that legislation includes few, if any, provisions that would actually mandate or strengthen security measures that public or private sector organizations implement to protect personal information or other sensitive data. To be sure, improving the security posture of commercial companies and government agencies across the board is a laudable goal, but there is essentially no precedent in federal security or privacy legislation affecting non-government entities. Both versions of FISMA (the Federal Information Security [Management | Modernization] Act), the Government Information Security Reform Act that preceded FISMA, and the Privacy Act only govern federal executive agencies. 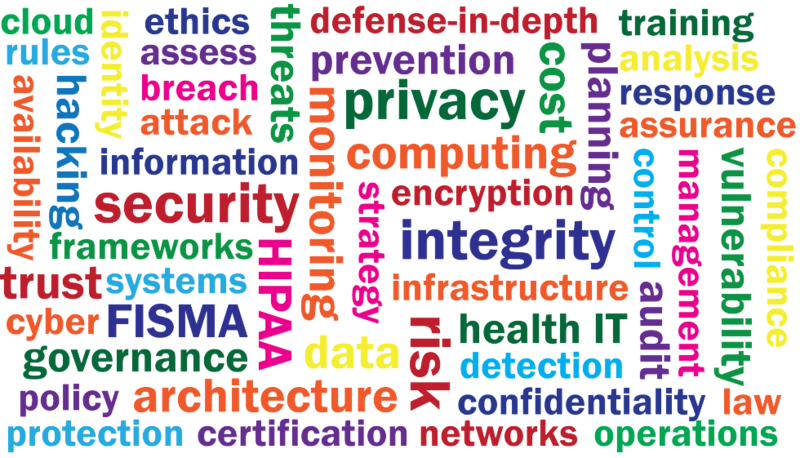 Industry-focused laws like the Health Insurance Portability and Accountability Act (HIPAA), the Electronic Communications Protection Act (ECPA), and the Graham-Leach-Bliley Act (GLBA) clearly state security objectives but are not particularly prescriptive about how those objectives are to be attained. Under the presidents 2013 Executive Order 13636, Improving Critical Infrastructure Cybersecurity, the National Institute of Standards and Technology (NIST) produced a standard cybersecurity framework that private-sector organizations could use, but the framework is voluntary. It seems neither politically nor commercially feasible that the government could successfully mandate minimum security requirements for private sector organizations, although it might make sense for the government to condition federal cybersecurity assistance given to those entities after an attack on their compliance with such standards. The exchange of personal data between American and European organizations (commercial and government) has, since 2000, been managed under a “safe harbor” framework that allows entities in the United States to send personal data to or receive data from European Union member countries if the U.S. entities first certify their compliance with seven privacy principles (Notice, Choice, Onward Transfer, Security, Data Integrity, Access, and Enforcement). A recent legal proceeding before the European Court of Justice (ECJ) involves an Austrian Facebook user who complained to the Data Protection Commissioner in Ireland (home to Facebook’s European operations) that Facebook routinely transfers data on its European users to servers located in the United States. The Irish Data Protection Commissioner refused to investigate his complaint, due largely to the fact that Facebook’s practice fall under the jurisdiction of the safe harbor framework. The complainant argued to the ECJ that, in light of revelations by Edward Snowden about mass surveillance conducted by the National Security Agency, privacy protections asserted by U.S. companies could not be considered adequate. The European Court agreed, and invalidated the entire safe harbor framework. The ECJ ruling is interesting from at least three perspectives. First, it is implicitly a declaration that, by permitting access to European citizens’ personal data by the NSA or other government agencies that most certainly do not adhere to core EC privacy principles like transparency, the U.S. violates the onward transfer principle and essentially negotiated the safe harbor framework in bad faith. Almost immediately after the ruling government and industry groups as well as privacy advocates speculated that the U.S. and EU would quickly seek to re-establish some sort of functionally equivalent arrangement, but it is hard to see how the EC will be willing to accept any new alternatives while the U.S. government is simultaneously seeking to increase information sharing from private sector companies to government agencies with the Cybersecurity Information Sharing Act (CISA). Second, the invalidation of the safe harbor framework presents real and immediate obstacles to business-as-usual for companies with significant global operations, particularly including multinational technology service providers like Microsoft, Amazon, Google, and Facebook. Third, the blunt assessment by the ECJ that U.S. data protections are inadequate should (but probably won’t) call into question the very different approach that the U.S. takes to protecting individual privacy. For at least 20 years, one key distinction between the United States and other developed countries (particularly including those in Europe) is in the relatively weaker personal privacy protections that exist among U.S. regulatory schemes compared to those in the European Community. Privacy laws and regulations in the U.S. largely share a common origin in a set of fair information principles issued in 1973 by what was then the U.S. Department of Health, Education, and Welfare. These principles – Openness, Individual Access, Individual Participation, Collection Limitation, Use Limitation, Disclosure Limitation, Information Management, and Accountability – were codified in the Privacy Act of 1973, which remains the primary privacy-centric legislation covering the actions of government agencies with respect to personal information about U.S. citizens. Other U.S. legislation with industry or population-specific privacy implications includes the Health Insurance Portability and Accountability Act (HIPAA) and Health Information Technology for Economic and Clinical Health (HITECH) Act in the health sector, the Graham-Leach Bliley Act (GLBA) in banking, Family Educational Rights and Privacy Act (FERPA) in education, and Fair Trade Act, Fair Credit Reporting Act (FCRA), and Children’s Online Privacy Protection Act (COPPA) reflect these same principles and specify the circumstances under which organization are allowed to share or disclose personal information. In many cases, obtaining consent from individuals is required before such information sharing can occur. On October 1, T-Mobile announced a breach of personal information for as many as 15 million of its customers. Although the incident affected T-Mobile customers, the compromise of their personal data stemmed from an attack on a server maintained by credit reporting giant Experian. According to a press release from Experian about the incident, only T-Mobile customer credit reporting data was on the server that was the target of the attack. The implication from Experian is that there has been no impact on other IT infrastructure used to support similar credit reporting services for other customers or the extensive consumer data stores that Experian maintains for its core business operations. Despite those assertions, many outside observers (as well as T-Mobile customers) have called into question Experian’s overall security practices, especially in light of the fact that this is not the first breach from an Experian business unit. As security journalist Brian Krebs reported in July, a federal class action lawsuit filed in California claims that Experian violated the Fair Credit Reporting Act (among other regulations), citing the company’s negligence in failing to detect the illegal access to and resale of consumer records by one of the company’s customers, who pretended to be a private investigator but actually sold data retrieved from Experian to identity thieves. In the wake of the breach announcement, a coalition of consumer privacy groups called on the government to launch a formal investigation into the T-Mobile incident as well as broader examination of Experian’s security to more conclusively determine whether any other databases or systems at Experian have been compromised or could be vulnerable to similar attacks. Consumer advocates have also made note of the sadly ironic offer by Experian to T-Mobile customers that they enroll in credit monitoring and identity resolution services provided by another Experian business unit (ProtectMyID). Even if true, the emphasis that Experian has placed on what it says is the limited scope of the incident – affecting only T-Mobile customer data and, ostensibly, only one server – raises legitimate questions about what attributes or protective measures of the IT used for T-Mobile are unique or significantly different from configuration settings and security controls used across Experian. Most large enterprises employ “standard” server hardware, operating system, and database images, whether they use physical or virtualized servers. On its face, it isn’t a credible argument that the configuration of the Experian server dedicated to T-Mobile customer data differs from others the company maintains, but perhaps the methods of access afforded to the T-Mobile database or points of integration between T-Mobile’s corporate systems and Experian were to blame for the successful attack. The most pressing concern regarding Experian’s security effectiveness (or lack thereof) is, of course, the fact that the company, along with peer credit reporting agencies Equifax and TransUnion, maintain detailed consumer records on the vast majority of Americans. The sheer scale of the personal information stored by these companies means that any compromise of their security resulting in data breaches could have significant consequences for U.S. consumers. From the perspective of T-Mobile and other companies that rely on credit reporting services from third parties like Experian, this breach highlights the general insufficiency of any corporate security program that fails to carefully consider the risk exposure represented by trusted third parties given access to or custody of sensitive information.